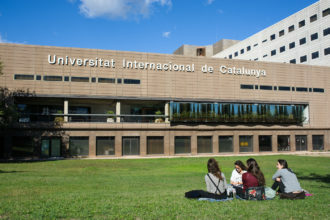 UIC Barcelona is participating in a project called MAXIBONE, that has received 6 million euros in funds from the European Commission, for the purpose of undertaking research in the field of bone regeneration. At our university the project is led by Dr Federico Hernández Alfaro, head of the Area of Oral and Maxillofacial Surgery. The rector of the university, Dr Xavier Gil, is also participating in this project. Maxibone project is granted by the european commission through the H2020 program in the field of health. The grant (N°779322) is awarded for the action entitled “Personalized oral surgery for bone regeneration”.